The tax code is huge and complex. But how huge and complex is it? So how long is it really? There are a couple ways to look at it. But, a lawyer who relies just on cases and regulations isn’t a very good lawyer, because most court decisions are made on the basis of previously decided cases. 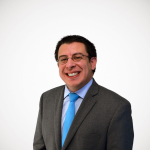 The respected legal publisher Commerce Clearing House (CCH) puts out such a compilation, the Standard Federal Tax Reporter of 70,000 pages, with notations after each statute containing relevant cases and other information. CCH itself considers this volume to be representative of “the tax code,” since an expert needs to know all 70,000 pages to understand the tax code in full. CCH has put out colorful charts illustrating its growth over the years. 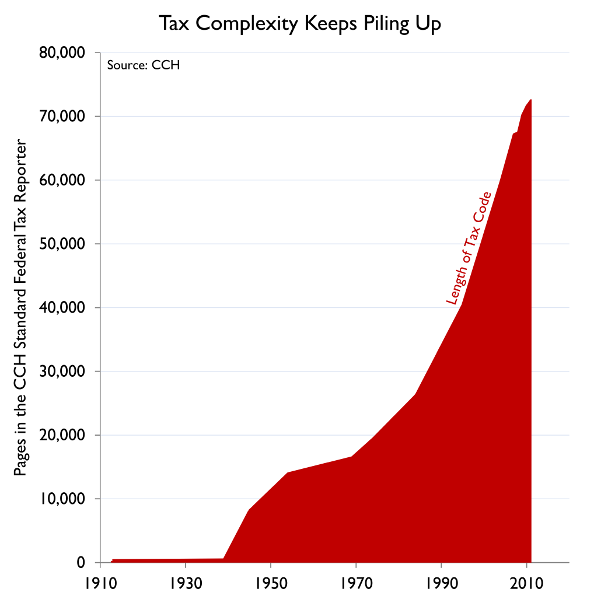 We used that information for the basis of a chart we did illustrating tax complexity over time.